It’s been a commonly-held belief that restaurants have one of the largest failure rates out of businesses, but lately, that wisdom has been challenged. One survey showed that only 17% of restaurants close up shop in their first year, an actual lower rate of failure than other businesses like landscapers, automotive repair, and real estate brokers. However, this doesn’t make things easier. After all, just because a restaurant doesn’t fail, doesn’t mean it is doing well. As some will tell you, bolstering a failing business for a long time can be a bigger financial drain than cutting your losses early. With this in mind, you don’t want to add to the hurdles of restaurant ownership any more than you have to. However, many people do just that with marketing blunders. With all the competition out there, it’s essential to stand out, but many people either fall short or stand out for all the wrong reasons. Here are some common marketing mistakes. To give you a few statistics to start off with, 92% of all restaurant customers have searched online for a restaurant in the last 6 months, 81% say they have done the same on their phones, and 62% of these customers say that they’re less likely to choose a restaurant if they can’t read the menu on their mobile device. What do all these facts point toward? The fact that a poor or mobile-unfriendly website is poison to your marketing efforts. If you can’t put this together yourself, it’s well worth it to recruit a professional. You can read more about how to keep your website optimised here. Trying to be everything to everybody generally ends in no one being satisfied. This is why it’s important to try and come up with a clear brand vision before you put together marketing materials, and be sure that all those materials stick to it. For example, when you’re putting together your social media pages, what type of voice are you going for? Something refined and knowledgeable, or fun and friendly? Make sure that your marketing is in alignment with your core values. The customer of today can tell when a business is being inauthentic. The restaurant-goer of today is more likely to choose a local spot over a chain because they like the idea of giving back to a business in the community. However, to forge that connection, you need to do your part as well. Something as simple as making an appearance at a local event not only turns new customers on to your existence but gives the idea that you really are a part of the community. In the same way that mistaken branding diffuses your message, so does trying to lean too hard on one type of marketing. There are certain types that can be very successful but won’t reach every potential customer you have. For example, an email marketing program might not reach the same type of people that a social media campaign might. In general, having multiple initiatives going will increase your reach. One thing you don’t want to do in any type of marketing, restaurants included, is base your moves off of guesses or intuition. Data is essential, and there are a number of different ways that you can get it. For example, SEO can be based on keyword research platforms like Ahrefs, but you can also get smaller sample sizes on your own, like using surveys or social media to get opinions and thoughts from your customer base directly. The restaurant business is built on trust. People are not only trusting you for a good experience, but there’s also a level of trust in the quality and safety of the food you are providing. Whenever something happens to potentially shake that trust, you need to be sure to act quickly and appropriately. For example, what happens if a customer drinks too much alcohol at your establishment, leaves, and seriously injures someone or themselves in an accident? There’s naturally going to be questions directed at your business. Businesses that don’t take the time to think ahead of appropriate responses not only risk harming their reputations, but also expose themselves to legal action. There are smaller examples of this as well. For example, if a customer leaves a bad review on a platform like Zomato, you don’t want to act emotionally, even if you think their complaints are unfounded. Having a plan in place minimises the chance of this happening. When it comes to a marketing campaign, it can be difficult to “sit and wait” when you feel that you need to start seeing results now. However, the adage of Rome not being built in a day holds true. In many ways, the advent of viral content has sold a lot of people on the idea of “lightning in a bottle,” but that’s not something you can predict. SEO is a perfect example. 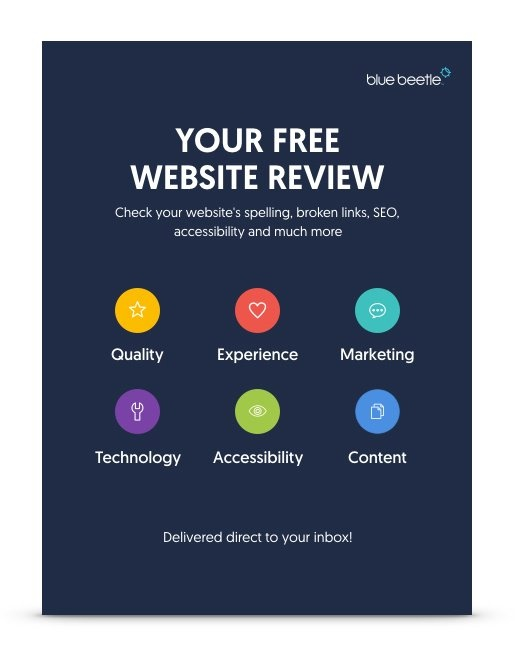 While over the course of a month, you can overhaul your website with keywords and put together a content calendar to try and establish backlinks, it can often take more than a few months for you to start seeing the benefits in your ranking. This is part of the reason why data is so important. While you’re not going to see a huge overnight change, you do want to see that your marketing initiatives are making steady positive progress. You may notice a bit of a common thread with these mistakes. Generally, most restaurant owners have their hearts in the right place when it comes to trying to put together marketing campaigns, but in many cases, there can be a disconnect between what you think will work and what your target audience will respond to. This is why it’s so important for restaurants, as an inherently competitive business, to make sure they base their marketing efforts on expertise and data. For the digital space, this means working with Blue Beetle. We are experts in digital marketing for the restaurant and hospitality industries and will not only help you avoid these common pitfalls but create marketing content and strategies that will drive interest in your business.